As many of you know, Ego's art studio was lost in a fire Nov 2. 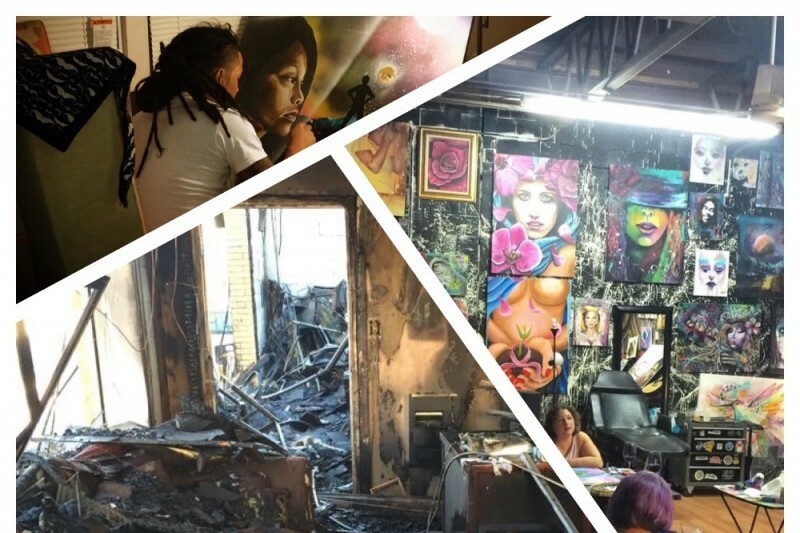 The fire destroyed expensive tattoo equipment, a newly bought laser for tattoo removal, paint supplies, and paintings with both monetary value and a profound emotional connection for many of us. Ego has been a leader in the Harrisburg art/tattoo scene. He has been an influencal source of art and culture in the Greater Harrisburg area. From tattoos to art lessons, paint nights, charity work for Breast Cancer research, to providing color to the city, murals and park renovations, Ego, and his team of artists have become a pivotal part of the fabric of Harrisburg's cultural arts. He has certainly extended a helping hand to the community and all those in need. He has even contributed numerous times to a charity I work with. Let's all pitch in and have Ego ink and the amazing team of artists back up and running. The immediate needs include a new space and new supplies just to continue with the newly established art nights and tattoo appointments. As far as we know insurance will not cover the damage, estimated losses well above 100k. Anything is appreciated. Help get these amazing artists back to their creative work and adding color to our world. Hey big bro. I told ya there is a whole world of people you've affected, and we're all here for you and your artist fam. We are so sorry to hear about this! You were the first person to show up and put an paint an awesome mural on our wall. The Harrisburg Improv Theatre owes you & loves you! Much love and cannot wait for the next chapter!